As one of Louisiana's largest and most progressive community hospital organizations, North Oaks Health System has long served the residents of Livingston Parish. 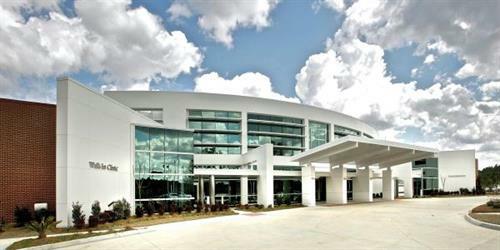 Starting in 2004, North Oaks strengthened their commitment to Livingston Parish by opening several new facilities, including Walk-In and Specialty Clinics in Walker, and the Livingston Parish Medical Complex (LPMC) -- a major outpatient medical complex at the I-12 Satsuma/Colyell Exit in 2011. LPMC offers residents close-to-home cardiology, radiology and laboratory testing; physical, occupational and speech therapy; hearing testing. LPMC also houses a growing number of physician practices, including a Primary Care Clinic for family and internal medicine, and specialists in the areas of cardiology; ear, nose, throat; allergies and sinus problems; general surgery; obstetrics & gynecology; orthopaedics; and rheumatology. Should emergency services or hospitalization be needed, North Oaks Medical Center is located in nearby Hammond.